To provide solutions to vulnerable children facing hunger and poverty by lending a helping hand toward achievement and success. Ultimately, we want to do our part in growing empowered generations. 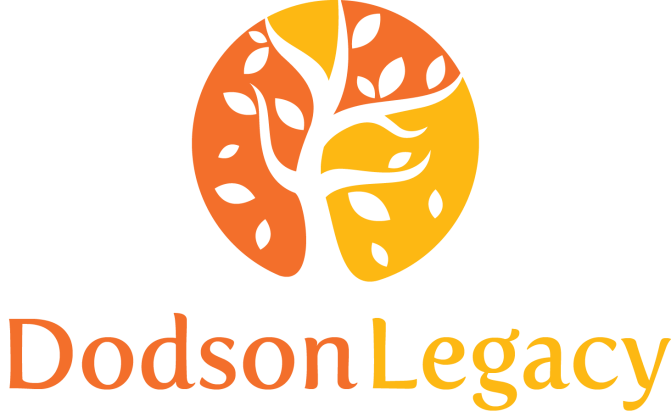 Dodson Legacy launches annual and ongoing projects, international and domestic, to ensure that they are assisting others around them. ShaRelle Clark, Co-Founder and President of Dodson Legacy, Inc., born and raised in Indiana, has an entrepreneurial spirit that loves the excitement of starting and growing businesses. ShaRelle has held several position in Fortune 500 companies as well as co-owned an HR consulting and staffing agency. In her previous roles she has been hands-on with managerial and administrative tasks that must be conducted in order to keep an organization striving. Additional concentrations have been in areas such as business development, strategic processing, and problem solving. ShaRelle holds a Master’s of Science in Management and several years of experience in HR Management. With the vision to be a resource to others, she is determined to form and build organizations that help others lives easier. Growing up, ShaRelle participated in several clubs and local church activities that encouraged her to help others and make a difference within the community. As years grew older, she always had a passion to create an organization for children, yet still utilize her business savvy skills. Collaborating with the rest of Dodson Legacy, Inc.’s team was her opportunity to shine! Shawnita Washington-Ogunleye, Co-Founder and Treasurer of Dodson Legacy, Inc., is a proud Marion Giant from the city of Marion, IN. She is a graduate of Ball State University and has earned a Master’s of Business Administration with a specialization in Healthcare Administration from Indiana Wesleyan University. She has held several positions in Project Coordination and Cost Controls. Six years of her career was spent as a contractor on the Riley Hospital Simon Family Tower erection project. Riley Hospital for Children is an expert, family-centered pediatric hospital where care is available at for every child who needs it. Working on this project cultivated her giving spirit and desire to help children. In 2015, Shawnita was afforded the opportunity to travel to Jamaica on a service trip. She had the opportunity to serve at an orphanage and a private school by painting, making repairs to buildings and restrooms and improving the current housing conditions. It was life changing and the a driving motivation to BE the change. This fuel that sparked the formation of Dodson Legacy, Inc.
As the mother of two, she has a soft spot in heart for children, especially those who are most vulnerable due to food insecurity or poverty. Shawnita is determined to utilize her drive and commitment to move vision to reality in the most efficient and effective way possible. Her motto; If not me, then who? Erika Smith, Co-Founder and Vice President of Dodson Legacy, Inc., is a native of Marion, Indiana. She is a graduate of the Marion Community School System and a proud graduate of Indiana Wesleyan University. Erika has a Bachelor of Science in Sociology and a Master’s of Science in Business Management. Erika has been a healthcare professional for over 15 years and has experience in management, business development, social services and advocacy. Erika has a passion to connect people to resources that are available to have their needs met. Erika’s experience and commitment to help others through support, education and coaching supports the goal help others achieve an improved quality life.